See for yourself why we call it retirement living with a spectacular view. Ever Dream of Retiring At The Water's Edge? Look closer: there are several upcoming events to help you take the plunge. 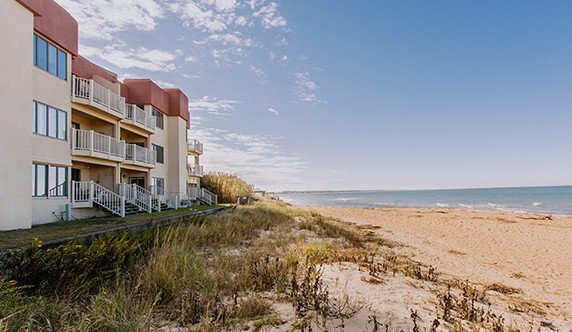 Take the Chesapeake Bay, add our community lifestyle, mix in our events and activities, and top it off with plenty of residential services and amenities. You’ve got the perfect recipe for extraordinary retirement living. But life choices can be difficult to make, and that’s why we sometimes sprinkle in one more ingredient: lithe opportunity to interact with residents who have already made the decision to join us at the beach. Here are a few of those that are currently underway. A World of Current Foreign Policy Insights Comes Ashore! Great Decisions is America's largest discussion program on world affairs. Sponsored nationally by the Foreign Policy Administration, topics are selected to highlight the most critical global issues facing America today. The dynamic discussions are led by our residents who are retired military leaders, professors, global trade specialists, current affairs scholars and others with special expertise or interests. downsizing and decluttering are key to achieving a carefree lifestyle. That's why we created the Moving Home Program! Join us as Ann Armistead from Downsize Designs and Dona Overstreet of Security Storage and Van share information on making every aspect of downsizing and moving seamless and stress-free. Get proven tips on keeping what you need and removing what you don't, to live the life you want in a community you will love. studio and small one-bedroom apartments in our East Tower. You'll have the opportunity to see our brand new Overlook Cafe and lounge and mingle with the people who make Westminster-Canterbury on Chesapeake Bay their home. Join us for lunch, learn about the many benefits of living at Westminster-Canterbury, and take a tour of our newly renovated beachfront campus! Seeing is believing! Join us for one of our upcoming lunch and learn events to get a taste of what life is like at Westminster-Canterbury on Chesapeake Bay! A popular event for the first-time visitor, you will enjoy a delicious chef-prepared meal while chatting with the people who make Westminster-Canterbury their home. You'll also have the opportunity to take a tour of our newly renovated beachfront campus.